As the Core i7 has spanned many generations of CPU microarchitectures, we will break it down by generation and show you the best boards for each. This way, you can ensure that you find the best motherboard for any Core i7, regardless of age. In a hurry? 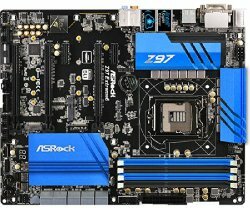 For your convenience, here is a link to the top-selling motherboards for i7 CPUs on Amazon. Before you read the individual reviews, here is a quick comparison of the best motherboards for i7 CPUs. Before 2006, if you wanted a top of range desktop computer, you would likely have bought one that contained an Intel Pentium processor. This all changed in August 2006 when Intel released its very first Core range of processors: the Core 2 Duo. Intel claimed that these CPUs had a 40% increase in performance over the Pentium D, at 40% less power consumption. In 2007, Intel released its first quad-core desktop processors, branded Core 2 Quad. The Intel Core i7-920 was one of the very first in Intel’s Core i7 line of CPUs. Since around 2008, Intel has been releasing processors based on three naming conventions, the Core i3, the Core i5, and the Core i7. The Core i3 processors are dual-core and are for entry-level budget use. They are not normally associated with gaming, although you may be able to play some single-threaded games that don’t require overclocking. Core i5 processors are mid-range and feature four cores (quad-core). These CPUs are a good choice for gaming, and they provide good performance at a cheaper price than Core i7 models. If you want the very best performance for gaming, or even video editing or design work, the Core i7 is for you. If you want to play the latest games at the highest settings, then the Core i7 line of CPUs will provide you with a lightning-fast PC that is capable of multi-tasking the most demanding apps and games. Kaby Lake is the codename of Intel’s 7th generation line of CPUs, and the desktop versions were released on January 3, 2017. The high-end models of Kaby Lake are the Core i7 7700K and the Core i5 7600K, which were among the first processors to be released. There is also an unlocked i3 for the first time: the Core i3 7350K. Kaby Lake is produced using the same 14nm process as Broadwell and Skylake, ending Intel’s ‘Tick-Tock’ design process. The ‘Tick-Tock’ is to be replaced with a ‘Process-Architecture-Optimization’ design process, with Kaby Lake being the ‘optimization’ stage. Skylake was the ‘architecture’ change, which is why it needed a new socket. Broadwell was the first CPU line-up to use the 14nm process and was the ‘process’ stage. Although Kaby Lake uses the same 14nm manufacturing process as Skylake, it is an improved 14 nm process which features faster CPU clock speeds, clock speed changes, and higher turbo frequencies. Kaby Lake processors are compatible with socket 1151 motherboards and use the Z270 chipset. They are also compatible with Z170 motherboards. 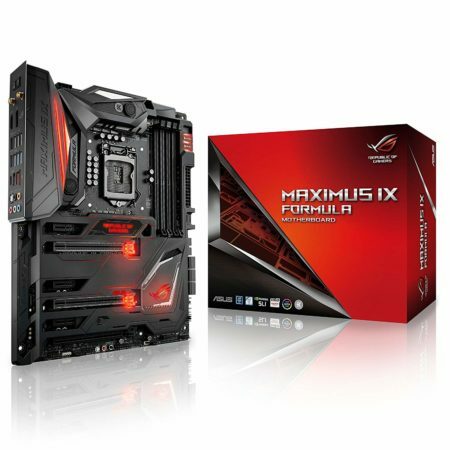 Read my review of the ASUS ROG Maximus XI Formula here. Skylake is the codename for Intel’s 6th generation line of processors, which was released in August 2015. The Core i7-6700K was the first i7 to be released, followed by the Core i7-6700 in September 2015. The motherboard featured below definitely belongs in the category of best motherboard for the i7 6700k processor. Skylake has definite performance improvements over older generations of i7 processors, this review by anandtech goes into all the details. The launch of the new Skylake chips also saw the launch of new motherboards with a new socket to house them in – socket LGA 1151. The new 1151 motherboards also introduced a new line of chipsets; the above 2 Core i7 processors are compatible with the Z170 chipset. Skylake CPUs are also compatible with Z270 chipset motherboards. The Asus ROG Maximus VIII Formula is a high-end gaming board designed for casual and hard-core gamers alike. The design and features of the motherboard will appeal to most, thanks in part to the clean, uncluttered look. The Asus ROG Maximus VIII Formula looks good aesthetically, with sleek black being the main color with a touch of silver. The only colors on this board come from the three-zone RGB illumination that can be customized along the full RGB spectrum. 28 LED lights are placed in certain places along the motherboard which enable you to make it any color you like. This can all be controlled with the ROG Aura software and the RGB Strip Header, meaning you don’t need an RGB controller. The ROG Maximus VIII Formula features a CrossChill EK extreme-performance cooling block that is integrated right into the VRM heatsinks. It is designed to keep the ROG cool with a hybrid solution using liquid or air, which contacts the VRMs directly instead of just cooling the heatpipe. If you use liquid to chill, Asus claims that this will reduce MOSFET temperatures by 23˚C. The Asus ROG is one of the best-selling Z170 motherboards online as of the time of writing, and it is easy to see why. The majority of the positive online reviews commended the abundance of customization options in the BIOS, and many say that the build quality is one of the best they have seen on a motherboard. This motherboard can be set-up straight out the box without changing anything, but if you are into liquid cooling and overclocking then it has every feature you could possibly need! Intel’s Broadwell CPUs were released in 2015. For reasons only known to Intel, they were released around the same time as the newer, faster Skylake chips. This is perhaps the reason that there were only two Broadwell processors that were launched for desktop use, and from these two there was one i-7 CPU: the Core i7-5775C. Broadwell is still an improvement over Haswell, and according to Gordon Mah Ung of PC World, Broadwell has 5% to 10% better performance. This makes an attractive proposition for gamers who already have a socket 1150 motherboard and who don’t want to upgrade their whole system but would like a boost in performance. Broadwell processors are not compatible with 8-series chipsets, and they require the newer Z97 or H97 chipsets. This is a great motherboard for those who just want to game without all the tweaking. It features one-click automatic overclocking software to allow you to spend more time doing what you bought the motherboard for: gaming. The high-end Realtek ALC1150 sound chip, along with the Creative SoundBlaster X-Fi MB3 gaming audio suite and the AMP-UP Audio Technology, means that the audio performance of this board is phenomenal. The Qualcomm Atheros Killer E2201 Ethernet port reduces lag, prioritizes gaming traffic, and delivers the fastest networking speeds, which translates to faster, smoother gaming. 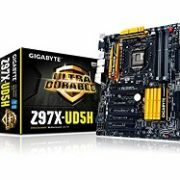 Considering that the Gigabyte Z97X-Gaming 5 has an M.2 connector, a SATA Express 10Gb/s port, PCIe x16, and USB 3.0, it is most definitely one of the best gaming motherboards on the market. Intel released their fourth-gen Haswell processors in 2013, with the Core i7-4770K launched as the flagship high-end option. 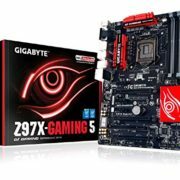 To go with the new CPUs was a new motherboard socket, LGA 1150, and six new chipsets with the H87 and Z87 being the most popular. In 2014, Intel released the latest Haswell Refresh processors, codenamed ‘Devils Canyon.’ The Intel Core i7-4790K was the high-end version of these processors. Two new chipsets were also launched with these CPUs: the H97 and Z97. Original Haswell processors are compatible with 9-series chipsets, however, older 8-series motherboards need a BIOS update to work with Haswell Refresh processors. What Is the Best Motherboard for the Haswell Refresh i7 4790K? This is a question that I often see of on forums and question-and-answer sites. Since Intel released the Haswell Refresh CPUs in the middle of 2014, the Core i7 4790K has become a popular choice for those building their own PC and finding the best motherboard for i7 4790K is an interesting process. Haswell Refresh CPUs are compatible with Intel’s 9-series chipsets, Z97 and H97, on LGA 1150 socket motherboards. Older 8-series chipsets, such as Z87 and H87, will usually require a BIOS update to work with the i7-4790K. Since the features of 9-series boards are more up-to-date, such as support for M.2 and Thunderbolt, it is recommended to pair one with your i7 4790K. 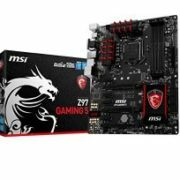 The two Z97 motherboards that I have already recommended on this page, the MSI Z97 Gaming 5 and the Gigabyte Z97X-Gaming 5, are great matches for a Core i7 4790K CPU. If you are building or upgrading a gaming computer, an Intel Core i7 processor is the best option if you want maximum performance. Whether you are looking for the best motherboard for the i7 7700K, i7 6700K, i7 4790K, or any other gaming motherboard for an i7 CPU, the above guide will hopefully help you to make the correct decision for your individual needs.